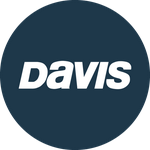 Davis Instruments Support, FAQs and Troubleshooting - I want to use the TurboMeter in a vent and the wind enters from the side opposite the manual specifies. Will the TurboMeter measure correctly? All Categories ​>​ FAQ ​>​ Marine ​>​ I want to use the TurboMeter in a vent and the wind enters from the side opposite the manual specifies. Will the TurboMeter measure correctly? I want to use the TurboMeter in a vent and the wind enters from the side opposite the manual specifies. Will the TurboMeter measure correctly? No, the wind must be directed at the backside of the TurboMeter. This is the side opposite the digital readout. What is the maximum cable length I Can Use?